Long Tail Keywords Vs Short Tail Keyword. Which Is Easy To Rank? 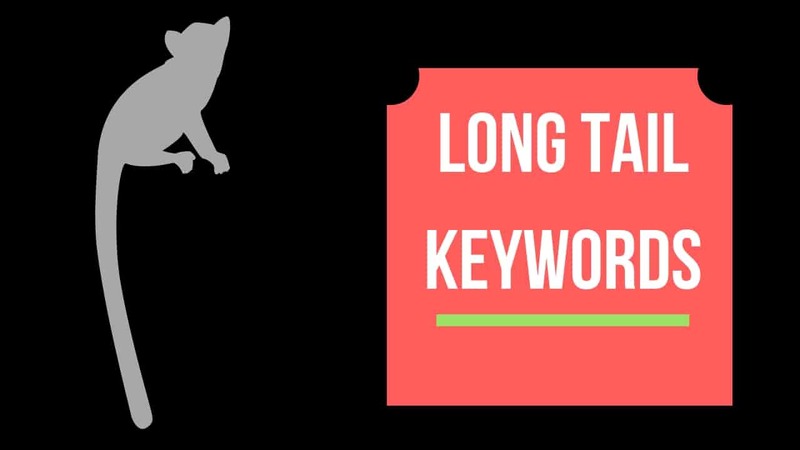 If you really want to get the depth knowledge of long tail keywords vs short tail keyword stick with this article because you will get all the required information about keywords. I will share all my personal experience with you. Keyword Definition: The simplest definition of the keyword is "Whatever we search in google (or any search engine) is nothing but a keyword". 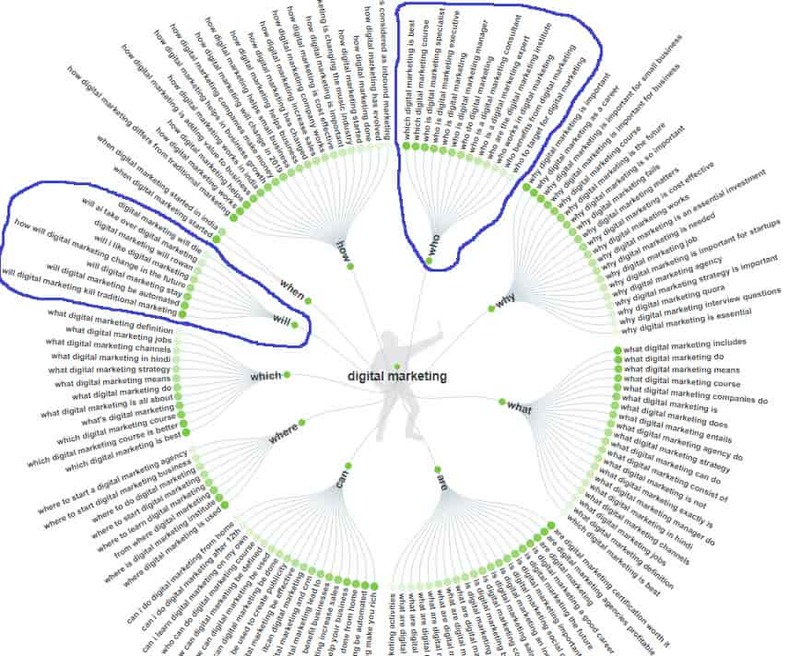 For example : "what is keyword", "insurance", "blogging", "digital marketing", etc. A keyword can be of a single word or a combination of 4 to 6 words. As I said earlier, A keyword can be a combination of 4 to 6 words. So as many words you have that much longer the keyword will be. Long tail keywords usually have 4 to 5 words. Long tail keywords are more specific/clear to understand. By looking at the name itself you can have a rough idea, a short tail keyword are generally a combination of 1 to 2 words. Short tail keywords are more generic. which means if you search for a "best t-shirt" you will get results for all kind of t-shirts like boys t-shirts, girls t-shirts, kids t-shirt. 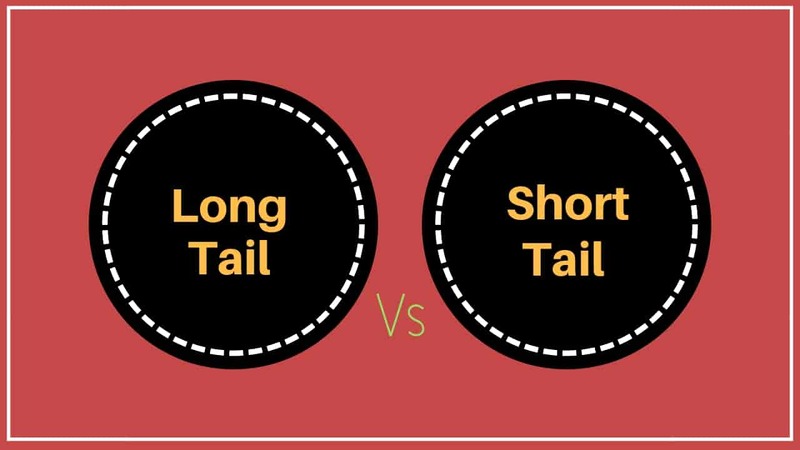 At this point I hope you understood what is the short tail and long tail keywords, Now let's focus on the differences of it. I will tell you a few tips which I personally follow to rank in google. why I am telling this because keywords are the only hint which Google gets from you as input and start searching in the index, which Google has and show you the result. 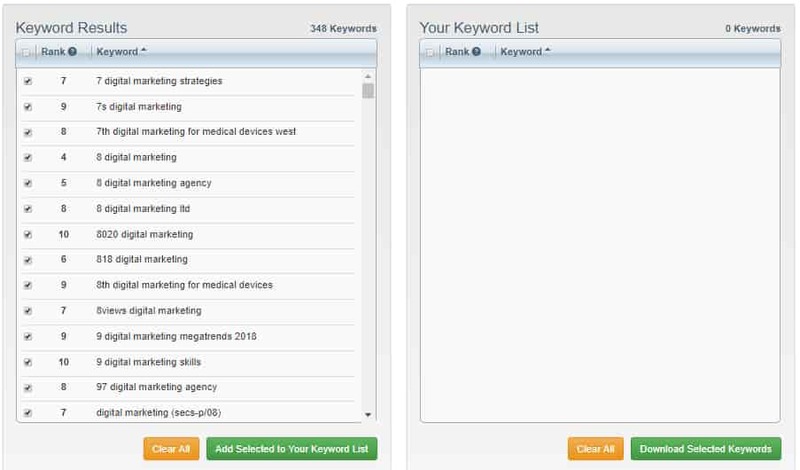 Follow these steps to learn how to use keywords to rank high. Step 1: Find appropriate Long tail keyword which should describe your article properly. Step 3: Maintain keyword density. Means how many times your keywords should come in your article. As per the guideline it should be 5%-7%. Step 4: Use your keywords acorss the article, means it should be in the beginning, middle and last section. Step 5: Pack your keywords smartly, don't just put your keywords to increase no of the count. Note: Only proper use of keyword is not sufficient to rank your article in any search engine, apart from this you should use On-Page SEO and you should do Off-Page SEO to rank high. Below I have mentioned 4 free online tools which will help you do keyword research and find long tail keywords. Answerthepublic is basically a website where you can give your short keywords and this online tool will generate long tail keywords for you with all the combinations. Generate long tail keyword. Kwfinder is one of the best tool for keyword research. You will find lots of information about the keywords in this tool. Check out KWfinder. Keywordtooldominator is a free online long tail keyword generator. It has restrictions as well you can search only 3 keywords in a day. Visit this keywordtooldominator. We all know Google, which is one of the best search engine tool. You might have observed while searching anything it gives the suggestion. That is nothing but the previous search or people also search for those keywords. So google automatically display those keywords to you so that you can analyze and use them. To use google automatic tool you just have to enter your keyword on google and put a spacebar to see the suggestions. To give you real view I have kept one image below please refer the image. User google atomatic tool. Watch Live Demo on How Long tail and short tail keywords work and Rank in any search engine. 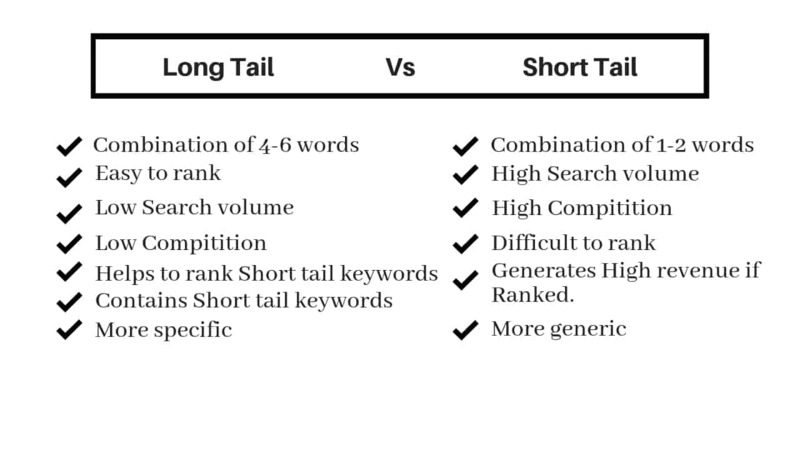 Hope you like the article Long Tail Keywords Vs Short Tail Keyword. First, understand what is keyword then move to long tail keywords. To rank high in google keyword is not only the reason you need to follow other stuff as well like effective and unique content, onpage seo, off page seo. If you found this article useful then please share with your friends and family.